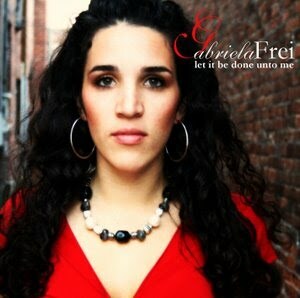 Gabriela Frei: Faith and Wine Event! PLEASE COME! 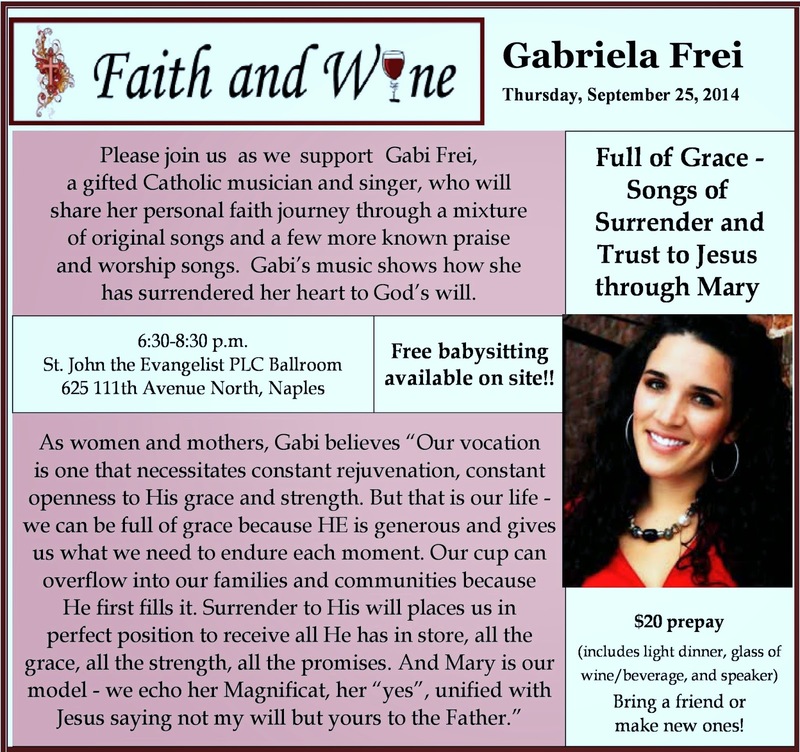 Faith and Wine Event! PLEASE COME! If you live in the Fort Myers/Naples area, CHECK IT OUT! I'm presenting the first Faith and Wine night of the 2014-2015 season. It's coming up in a few weeks on September 25th, at St. John the Evangelist Church in Naples. As Christian women, it's so easy to get so caught up in caring for others, that we forget to make time to be refreshed ourselves. Let me minister to you for a night. Let me share what God has done for me and to me and through me. PLEASE NOTE A CHANGE FROM PREVIOUS YEARS: now you MUST preregister online. You can no longer pay at the door.